Christmas is a great day to give back to your dad. Here are 14 books to give any man in your life, brother, son, uncle or anyone special for any occasion. Buy Early! I am a Licensed Professional Counselor and have provided counseling for hundreds of fathers. Most of the men I have counseled don’t particularly like to read but I can name a handful of men, fathers, that couldn’t put this book down. The book has a lot of references, stories, analogies, and metaphors from nature and the outdoors. 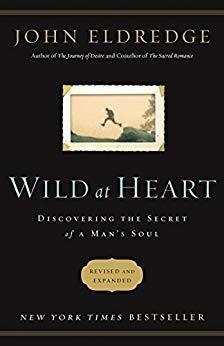 This book addresses deep issues of men to help them recover their masculine heart. The book addresses wounds that have been caused by our own father and brings healing to those areas so that we can be the father and positive male model to our children. It moves men from passivity into reclaiming passion and taking action to serve, love, and protect the ones we love. The book gets at the heart of the matter and inspires change. It is particularly aimed at Christian men so it would be a good book for Christian fathers. As the founder of a non–profit organization dedicated to the healthy development of young men, *The Boy Crisis, *written by Drs. Warren Farrell and John Gray*,* serves as a valuable resource for our mentors to better understand the issues that teen boys are experiencing. 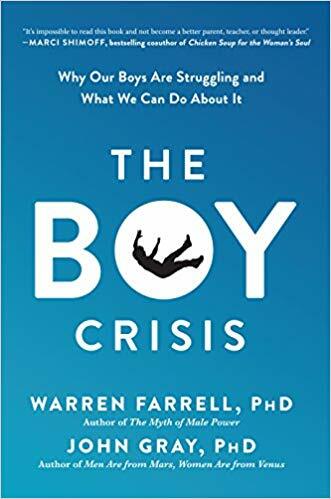 And, as a parent educator who teaches parents how to raise happy and responsible teen sons, I use *The Boy Crisis* as the main textbook because its filled with solutions that help parents have much better relationships with their sons. I strongly recommend this book to any parent, mentor, therapist or sports coach so that they have the facts and solutions they need to be more effective in loving, coaching and supporting young men. 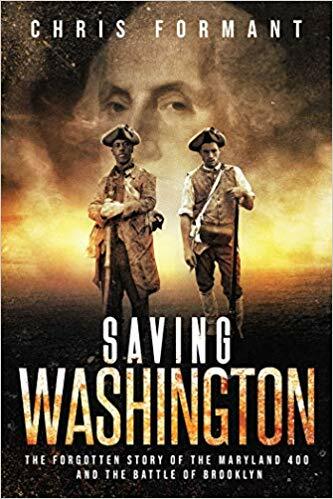 Acclaimed author Chris Formant tells the forgotten story of how a group of citizen soldiers from Maryland fought a heroic battle against elite British forces to preserve the Continental Army and save the life of General George Washington. In this epic adventure based on scholarly research, two young aspiring Baltimore merchants, one white and one black, march to Brooklyn as part of the Maryland militia. Under-trained and under-equipped, they would soon be on the front lines of one of the most decisive battles for American independence. Formant immerses us in their dedication and their sacrifice as he weaves an epic tale, which includes actual historical figures. These all but forgotten men who held back the British made it possible for Washington to evacuate hundreds of soldiers to Manhattan and create a new military strategy that turned the tide of the Revolutionary War. The authors draw on their real-life international experience to weave a cinematic tale of high-stakes roulette, that takes readers on a heart-pounding adventure around the world. Dan Reilly, a former Army intelligence officer turned international hotel executive, is thrust into the role of detective after his hotel is bombed in Tokyo. As Reilly scrambles to install high-security measures at his company's hotels, the clock winds down to a climatic event in Brussels that threatens NATO and the security of member nations. 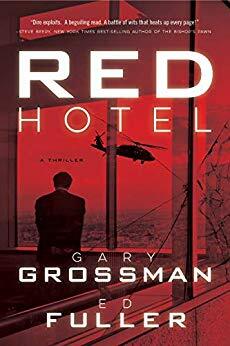 RED HOTEL is a thriller that reflects today's headlines and dares to take readers behind the front desk into the inner workings of the world's most glamorous hotels. This book is a fantastic little coffee table or bedside table book. 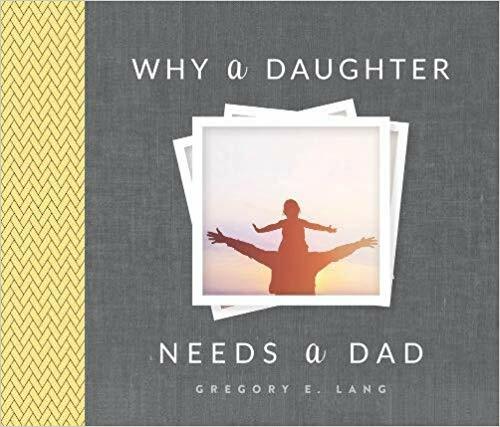 It is filled with sweet sentiments about why a daughter needs a dad in her life, all of the things dad have the honor of teaching their daughters, and just how valuable that relationship is between a dad and his daughter. It is a sweet reminder of all the reasons (100 in total) men are so important in a daughter's life. One of the reasons listed is; A daughter needs a dad to help her take risks that will build her with confidence. My father was my hero and he embodied this book. He kept it on his nightstand up until he passed away. I would highly recommend! 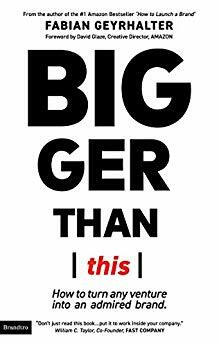 In his latest book “*Bigger Than This: How To Turn Any Venture Into An Admired Brand*”, Fabian Geyrhalter challenges companies to discover their spark and connect with today’s consumers on a deeper level. Geyrhalter was inspired to write “Bigger Than This” after studying commodity brands that people go crazy for in today’s age of innovation. He was fascinated to realize that companies offering commodities — products that people don’t necessarily need more of in the marketplace, and that see no innovation in functionality or design — were flourishing. All of these companies had only two things in common that created their success: fantastic brand thinking and a truly authentic story to tell. Geyrhalter felt there was a lot to learn from these brands, even for an established brand that may have lost its authenticity along the way. His book focuses on the traits he saw in these companies and how they can be re-infused into any brand that wants to connect more deeply with its audience. 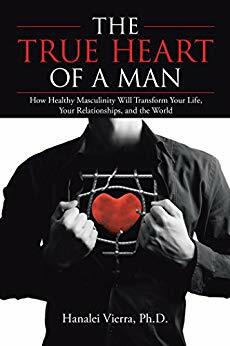 I wrote this book that gives adult men a 7-step “road map” to get out of an antiquated definition of masculinity that has brainwashed them to mistrust their emotional experiences and toward a healthier, more mature version of masculine identity that is needed in a 21st-century world. 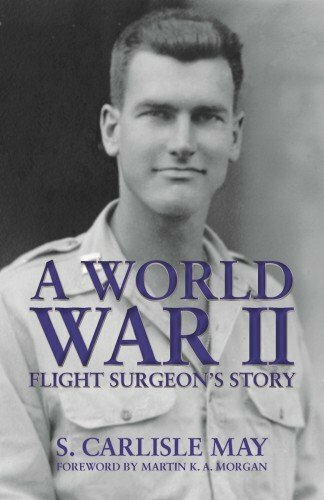 This book that I wrote is a true account of a Flight Surgeon's experience working to keep pilots flying from Africa to Normandy to central Germany. The book is derived from personal interviews, letters home and pictures which include the historic meeting between Gens. Clark, Patton and Eisenhower and the visit from President Roosevelt. It also offers insight into medicine at that time. 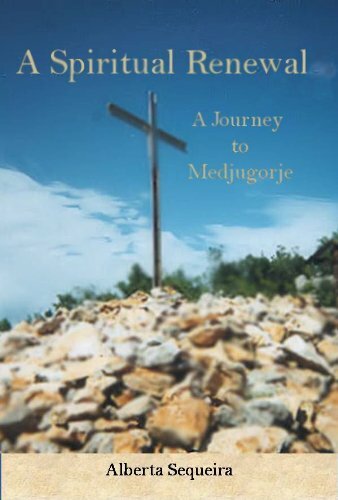 It might sound too spiritual and girly for men but this book is a heartfelt, moving memoir of the author's father and her journey to find inner peace and renewal of life. It's a story about her life with her father, Brigadier General, Albert L. Gramm. She shows how we can wait too long to learn about the lives of the men and women in the service after coming home from wars or life in general. Brigadier, Albert L. Gramm, died on November 19, 1990, from cancer. It was then that Alberta realized while she stayed at his bedside during his illness that she never took the time to get to know this great man or his life fighting during WWII fighting in some of the famous battles; Metz, Lorraine, and The Battle of the Bulge. He had been one of the commanding officers of the 26th Yankee Division. He was about to take those achievements with him. His devotion to saying the rosary every day while he faced his enemies during the war stayed with him on the return home. He had promised The Blessed Mother that if she got him home safely to his family, he would say the blessed prayer until his death. It's at this time, when Mr. Gramm struggled to say his rosary in his deathbed and losing concentration on it, that Alberta turns back to her faith. She learns the rosary and understand's each decade is about the life of Mary and Jesus. She realized after fifteen years away from the Church that she not only needed God back in her life but wanted Him. 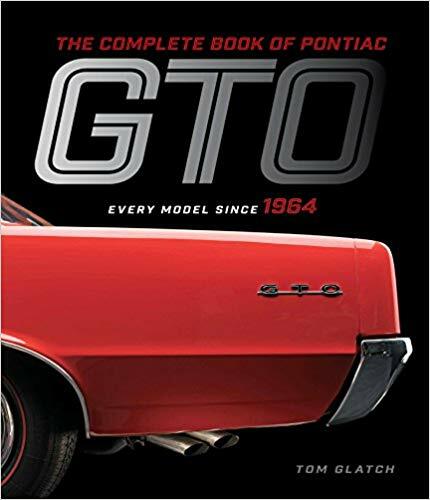 The book gives you a year-by-year, model-by-model exploration of the world's first muscle car, all in full-color photography, most of which have never been published. At 176 pages, with 250 color photos, it’s the definitive coffee table book, on the definitive muscle car. 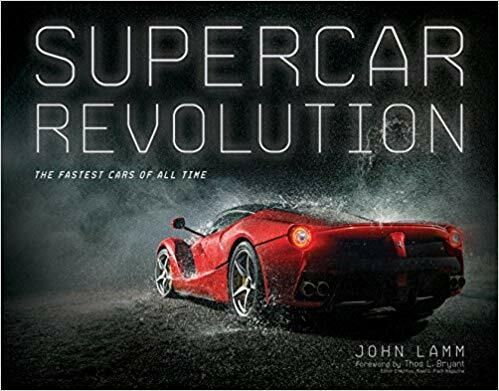 The book charts the evolution of the fastest, most-lusted after and influential sportscars of all-time. Featuring Porsches, Ferraris, McLarens, Corvettes, Lamborghini and more, these are cars that can go 150 mph and beyond. With profiles of the designers and engineers who developed these cars and truly gorgeous photography, fans of these cars will love this book. This book shares the history of the die-cast vehicles that started out as a new twist on toy cars and became a worldwide phenomenon. 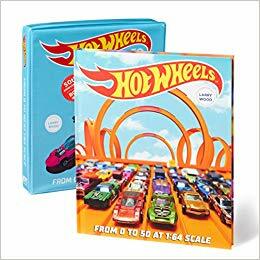 Officially licensed with Mattel, this in-depth retrospective reveals what makes these cars unique, how the models are designed, and all the work that goes into the play to ensure Hot Wheels™ maintain their position as the greatest toy cars ever made. Features photos from the Mattel archives and comes in a replica Hot Wheels™ carrying case. You’d be hard-pressed to find a dad who didn’t love their Hot Wheels! 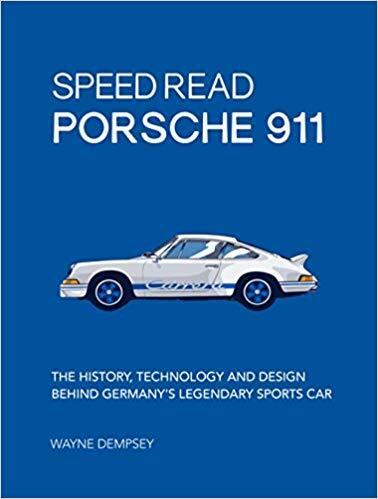 This book breaks this immortal rear-engined sports car down into fully illustrated, easy-to-digest portions that neophytes and experts alike will love. Fans of the iconic and influential sports car will learn about its creation and design, why they’ve had a never-ending allure and how the car has dominated racing for over 50 years. Tom is by far the best-known barn-find collector-car expert working today. 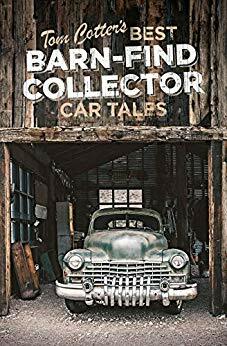 Tom Cotter's Best Barn-Find Collector Car Tales pulls together his best barn find stories from America and around the globe. From Shelby Cobras to classic Duesenbergs, to Harley hoards and lost supercars, Cotter brings to light the most amazing, outrageous, and unexpected finds he and his barn-finding brethren have discovered.